What to do in Berlin on New Years Eve? A.M.T. Coffee Bar at the entrance to S-Bahn station hackescher markt. 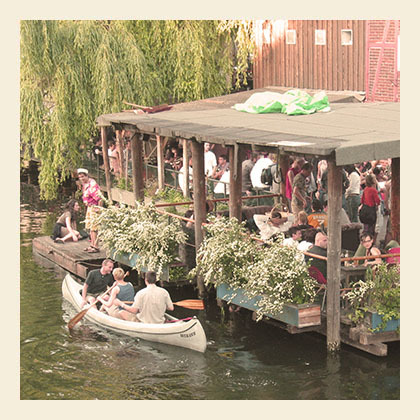 As an Insider you’ll have guaranteed entry into Berlin’s top Bars and Clubs! Don’t risk having to wait in queues, being overcharged, or not getting in anywhere at all on the busiest party night of the year! We’ll visit insider bars, hip gallery bars, cocktail lounges, authentic east German pubs and truly happening clubs! der Garderobe geben, der Vorverkaufspreis liegt bei 24 Euro, an der Abendkasse wird es 26 Euro kosten. Make sure to get your tickets in advance, check the website links for details on how and where to get them. For more information ask our team at the reception or just check the online staff.recommendations!! Enjoy partying in Berlin and happy new year!!! !